The name “Sin City” takes on new meaning during Halloween in Las Vegas when the city transforms into a seasonal playground for tourists and locals alike. While the holiday is observed on October 31, there are many activities open for the public’s enjoyment all month long, and especially the weekend prior to Halloween. ♦ Thursday, Oct. 19: A special “Freak the Street” edition of Third Thursday. Starting at 6 p.m., the evening features festive food trucks, live art installation, costume contests and kid-friendly activities such as face painting, “truck or treating” and pumpkin art battle. 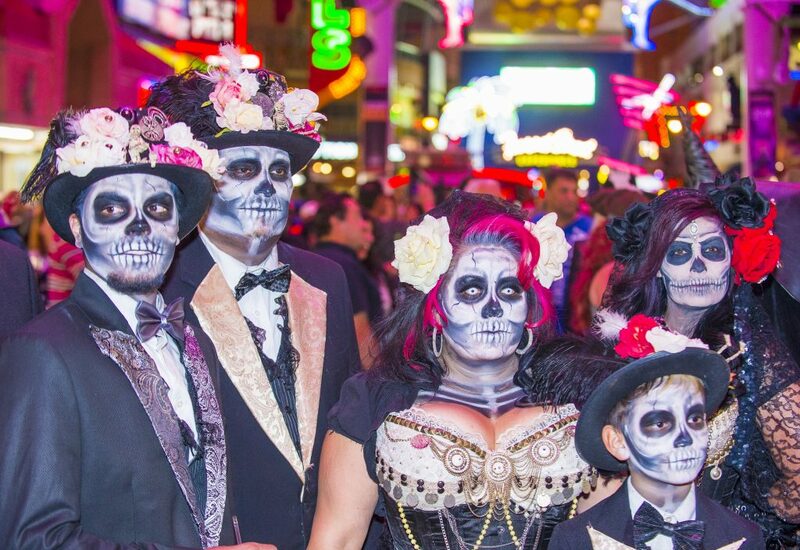 ♦ Friday, Oct. 27-Saturday, Oct. 28: Downtown Las Vegas presents Sin City Halloween, a weekend-long celebration complete with a welcome party at Turmeric Flavors of India Nightclub, 5K run followed by the annual Sin City Halloween Parade, a car show on Fremont Street and a Halloween Block Party. The El Cortez Hotel & Casino is also offering a limited number of specially-priced rooms. ♦ Saturday, Oct. 28: Halloween under the Dome at Plaza Las Vegas features a DJ, drink specials, a firework display to Michael Jackson’s iconic hit, “Thriller” and no entrance fee. ♦ Saturday, Oct. 28: Container Park presents its Zombie Cider & Beer Walk. The event starts at 5 p.m. and features live entertainment by Shawn DeGraff Band, Zombie Rave, Costume and Zombie Walk contest and more. Tickets are $25 in advance and $30 at the door. 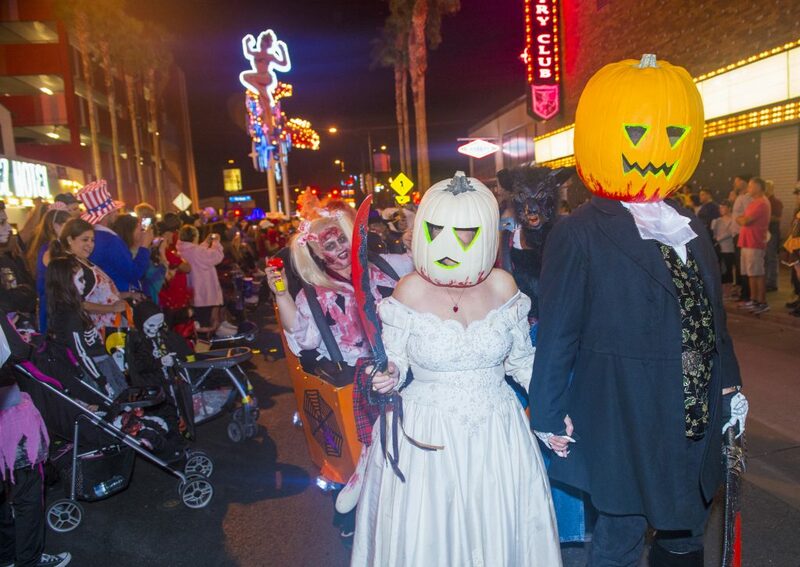 ♦ Tuesday, Oct. 31: The annual Las Vegas Halloween Parade takes over East Fremont and 13th Street. Witness ghouls, goblins and more, and finish off the day by competing in the best dressed costume contest. 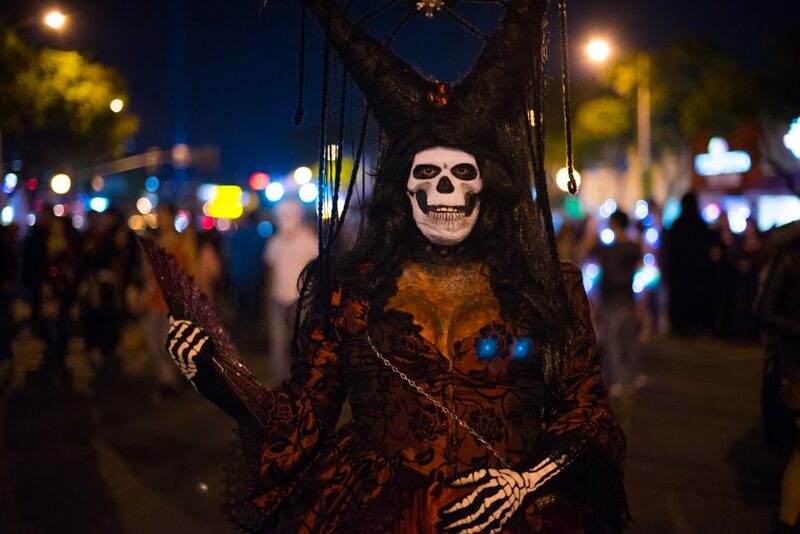 Free and open to all ages, the party starts at 6 p.m. followed by the parade at 7 p.m.
♦ Fright Dome at Adventuredome at Circus Circus Hotel, which features six new haunted houses and scare zones this year, 25 rides and attractions, live shows nightly and more. Fright Dome is open 7 p.m. to midnight all month long. ♦ Inspired by AMC’s hit show, Fear the Walking Dead Survival in Las Vegas at Fremont Street Experience is a spooky combination of a thrill ride, escape room, maze, haunted house and interactive video game. The attraction is open daily and tickets start at $30. ♦ Asylum & Hotel Fear Las Vegas takes brave souls through a gut-wrenching tour that tells the story of the Meadview Asylum. Located at the Meadows Mall, admission starts at $15. Dates and times vary. 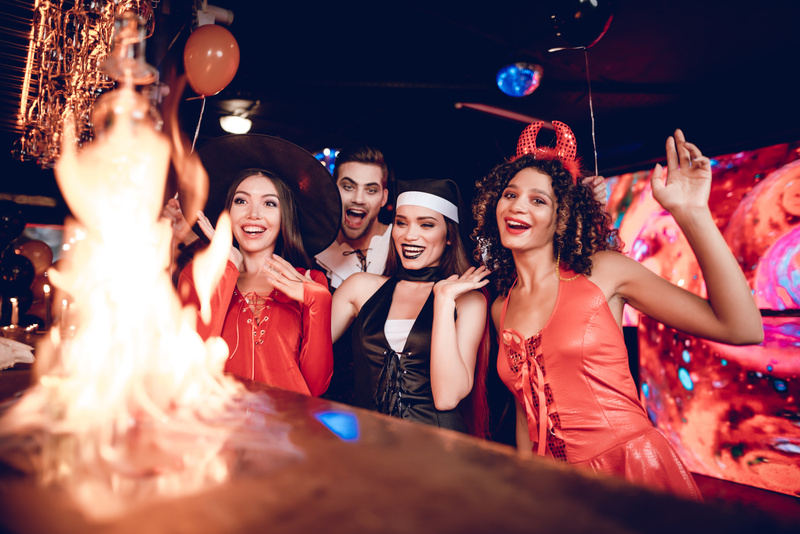 ♦ One of the city’s largest and most iconic annual Halloween parties is the annual Fetish & Fantasy Ball at Red Rock Casino Resort and Spa on Saturday, Oct. 28 where just the right amount of bad behavior is encouraged. This party, attended by thousands, including many who travel long distances for this only-in-Vegas event, is among many others that hold costume contests with large cash prizes for the best dressed. Make sure you do your research in advance because the categories for best dressed costumes often vary by party. There is no shortage of events to sink your teeth into this Halloween, but however you decide to celebrate the spookiest time of the year, be safe, be smart and have a wickedly good time!